Cider with guava. Sweet, smooth tasting, with mild fruit taste. Pale pink in colour, with a scented guava aroma. Flavour is dominated by the guava, with little other character. Pleasant enough to drink, especially as a summer drink. 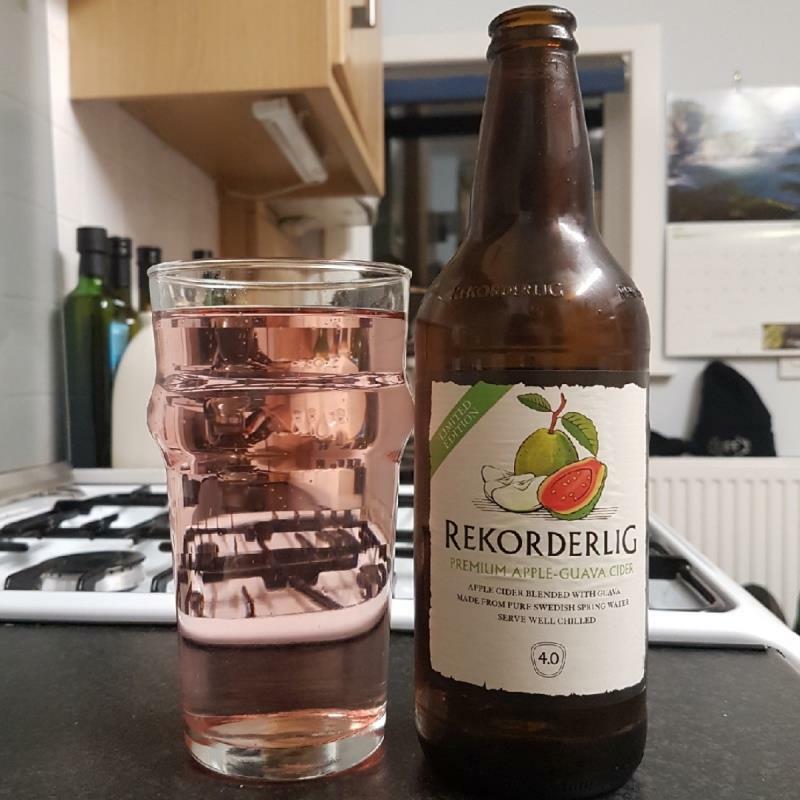 Much like any other Rekorderlig fruited cider.